MORE than 2,500 work apprenticeships have been created for young people in Woking since 2010, contributing to the two million tally countrywide. ships offered by companies in Woking have performed a crucial role in improving the economy. “They are a vital part of building a financially stronger and a fairer society. By ensuring young people are able to earn and learn, we give them the opportunity to get on in life. 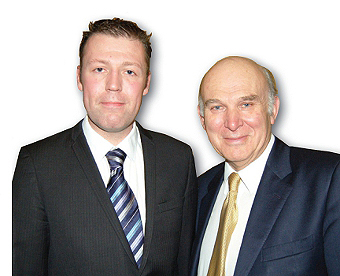 Secretary of State for Business, Innovation & Skills, Vince Cable MP, explained that it is not only about the figures: “Reaching the two million target is testament to the Lib Dems’ commitment to apprenticeships. “They give young people the chance to start a career and give businesses the talent to grow. But this isn’t just about numbers, either – anything from space engineering and mechanics to television production and legal services, apprenticeships are the ticket to a great job and a route employers trust to access the skills their organisations need.